To get to know an area well you should taste its most distinctive foods and outstanding wines. On the Costa Brava, you're spoilt for choice when it comes to enjoying both. There's a wide range of restaurants, and we've made a selection for you to choose from. You'll find a variety of cuisines, products and prices for all tastes and budgets! Eating fish at Can Flores is a guarantee of eating well. 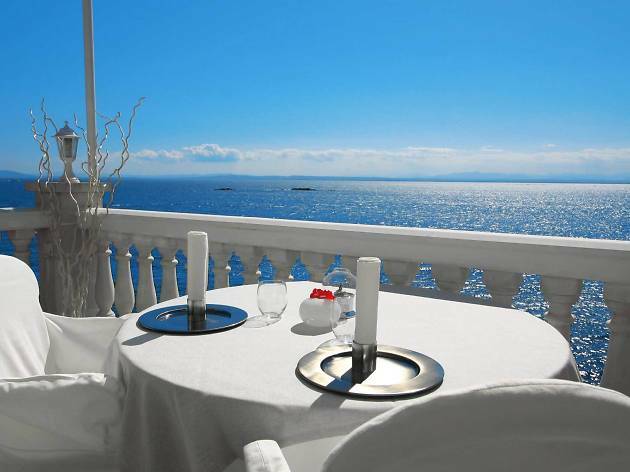 We might almost say that the fish swims straight from the sea to this Blanes restaurant - well, maybe not literally, but the restaurant is just 100 metres from the town's fish market, which means the products they serve couldn't be fresher. 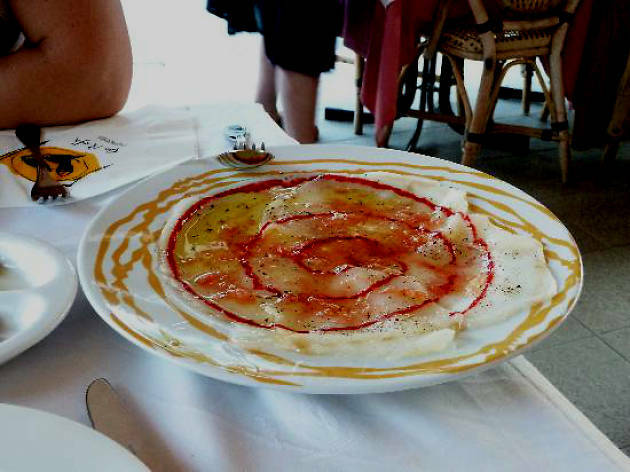 Open since 1958, Can Flores is one of the most famous fish restaurants in Blanes. 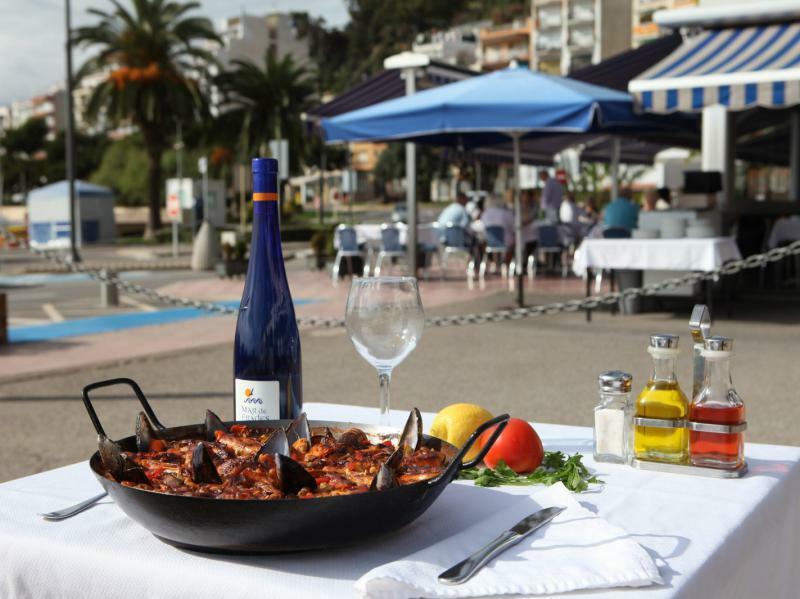 Particularly popular among customers is the seafood paella, as well as the fried squid rings and plates of shellfish they serve. The list of fish on offer at Can Flores is seemingly endless: mussels, octopus, coquina clams, langoustines, prawns, hake and razor clams, among many other seafood delicacies. If you visit during the festival of Santa Anna, the patron saint of Blanes, you can watch the popular firework shows from the tables that they set up outside - it's a great sight! 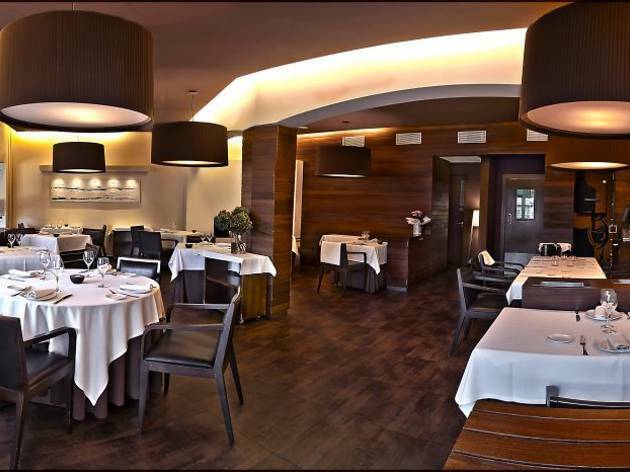 Can Rafa is the descendant of two Cadaqués classics, the restaurant Casa Anita and the Meliton bar. 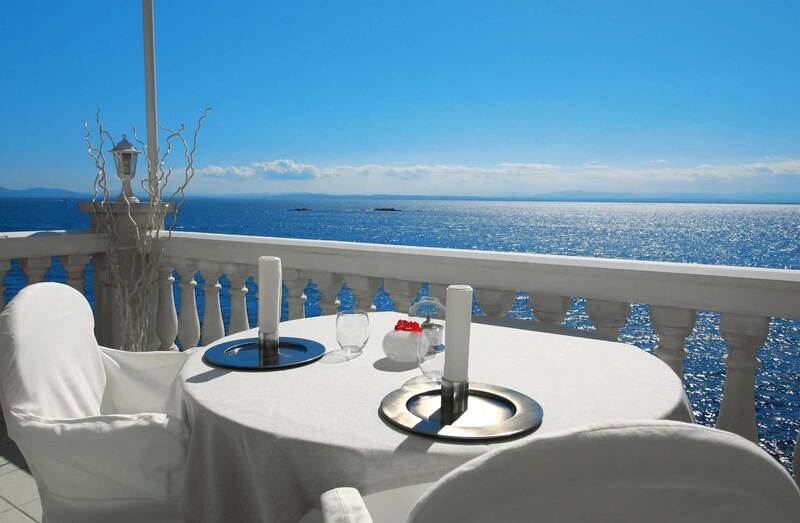 It shouldn't be too difficult to find as it's the only fish restaurant situated on the town's seafront. Unsurprisingly, given their location just by the beach, they focus on local seafood in their dishes, based on what's fished in the Cap de Creus area. They don't offer a set menu, and if you're not sure what to choose when you look at what's on offer, we highly recommend the rice dishes, especially the one made with crab or the one with prawns), the dish of clams from the Bay of Roses, or the anchovies salted at the resaturant for eight months with oil from their own harvest. It's worth bearing in mind that the owners of Can Rafa are also behind the Martín Faixó wine producers, so don't be surprised to find almost all their varieties on the wine list. 'Urissos', 'eriçons', 'garotes' or 'garoines'. Whatever word locals might use for sea urchin scarcely matters because they're delicious in any language. At the Cau del Pescador restaurant, they're well aware of this. 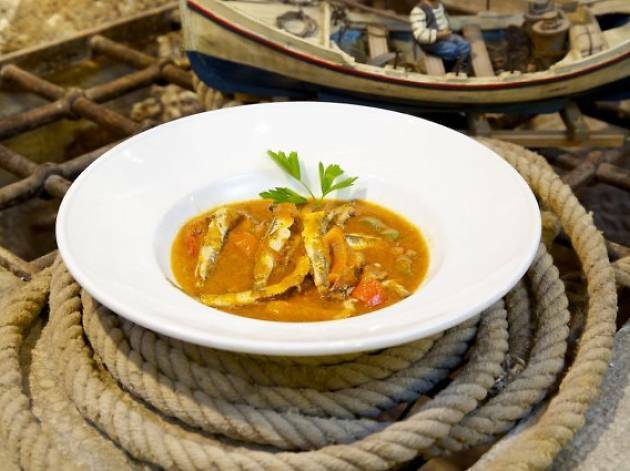 For some years now they've been dedicated to cooking quality seafood dishes, and they know just where to go to find the area's best fish and shellfish - sometimes, they come directly from the trammel nets of Sant Feliu boats. Sea urchins ('urissos' is the word most people in this town use) are the star dish when in season, but all their fish and shellfish are worth trying. To start choose from anchovies, 'potera' squid with 'rossinyol' wild mushrooms, and sautéed prawns with tomato, among others. For your main course, you could try the traditional-style rice casserole, as cooked by fishermen, or the black rice with baby cuttlefish and langoustines. The fish stew with potatoes and garlic mayonnaise is just like it always used to be made. Seasonal products feature largely on the menu, focusing on recipes according to the time of year: cod and 'peixopalo' (cured, salted cod) for Lent and Easter; blue fish in May and June; and when fish numbers are low, wild mushrooms. This is one of the few restaurants in Palamós that remains unchanged from its origins as a classic fishermen's tavern in the centre of town. It opened in 1936, started by Maria, the late great-grandmother of the current generation of owners. The cooking is also inherited from her: 100 percent seafood, 100 percent simple. All the fish comes from the local fish market, and your best bet is to let them advise you about whatever fresh products they have that day. Evidently, the star dish is grilled Palamós prawns, but you should also try the fish stew, rice casserole and European flying squid with onion. Apart from the standard menu, which is made up of small and full-size portions ('racions' and 'plats'), another good reason for going is the set gastronomic menus they sometimes offer, promoted by El Plat Blau, the association of restaurants from the Bay of Palamós. 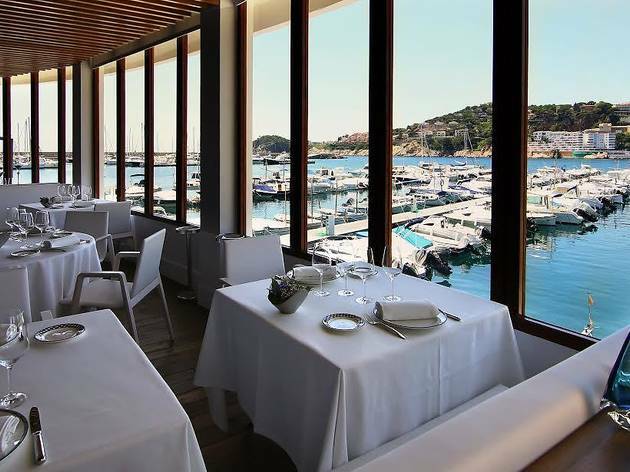 Dvisi is a gastronomic space that clearly stands out from the classic seafood places that dominate the restaurant landscape in Palamós. Even though at Dvisi they also take special care with their ingredients, in its case the focus is on dishes that are perfect for sharing and that also feature some surprise or fun element, with the aim of keeping the meal informal. They don't have a set menu, and the à la carte menu changes every three months in line with seasonal ingredients. 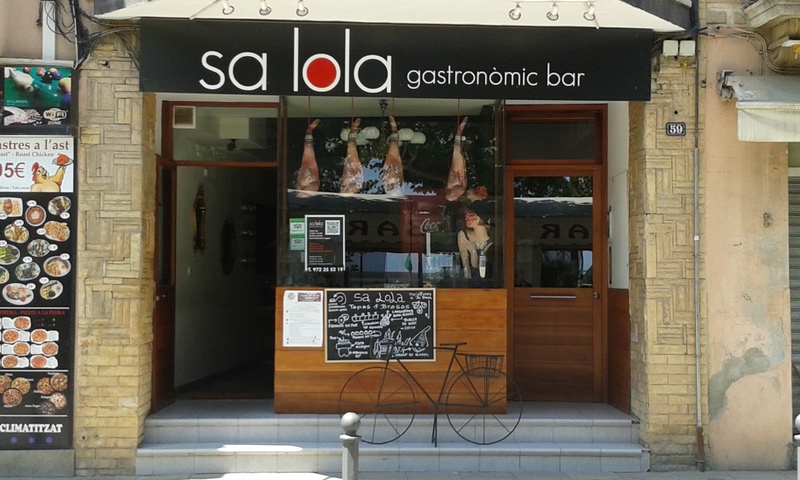 Open since 2014, the restaurant is run by couple Laura Vicente and Jordi Simón (the name of the restaurant is based on a combination of the first letters of their surnames). The two are disciples of Massana in Girona, from where, they say, they've learnt nearly everything they know. To whet your appetite, some of the star dishes are: egg cooked at 62ºC with cep 'de pi' and potato Parmentier; lobster with black squid tempura and red pepper mayonnaise; laminated ceviche with coconut milk infusion, roe of flying fish, and seasonal fruit; and Galician octopus smoked in the moment with cream of calçots and black olives. 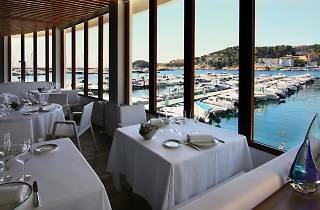 Following the closure of El Bulli in Cala Montjoi, Els Brancs is the only restaurant in Roses with a Michelin star. The restaurant experienced a turning-point in 2012, when, to the surprise and excitement of both directors and staff, it was given the star, its first big culinary award. In charge of the kitchen is Granada chef Javier Cabrera, who trained with both Ferran Adrià and Joan Roca, as well as at the restaurant of Arzumendi. 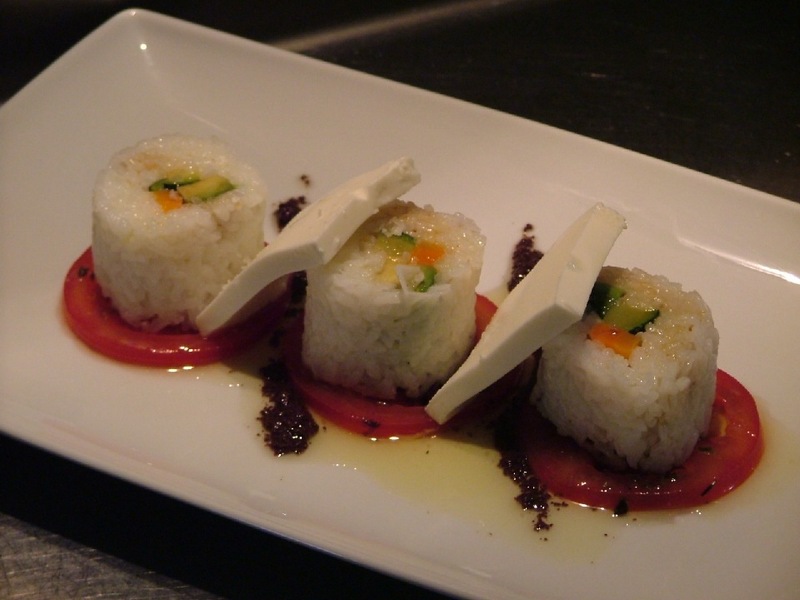 His speciality is signature, creative Catalan cuisine. He uses products from the area and sometimes transforms famous regional dishes – he pays careful attention to ensuring that every last detail on the plate is excellent through the use of the latest techniques. You can choose between the full Experiènces menu and a cheaper tasting menu that changes constantly. Dishes such as the succulent rice with Roses prawns, confit of suckling pig, basil and vegetable raviolis, and lobster 'botifarra' (sausage) with white beans, will excite the most demanding palates. If the weather allows, you should definitely try to get a table on the terrace. The restaurant takes its name ('The Branches') from the small islands located just in front of it, below a small cliff that finishes on the beach of Bonifaci – it's an idyllic setting in the Bay of Roses. 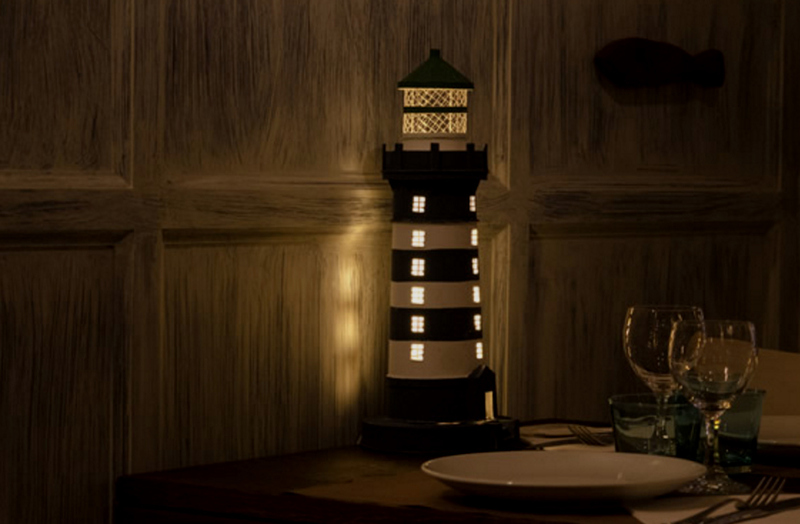 laBalma is the history of Toni Marín, a courageous man who's passionate about restaurants. By profession he's a physiotherapist, and he originally combined his work with investment in a Matadepera restaurant until, when the chef left, he decided to leave everything behind, get in the kitchen himself and open the restaurant of his life in Blanes. 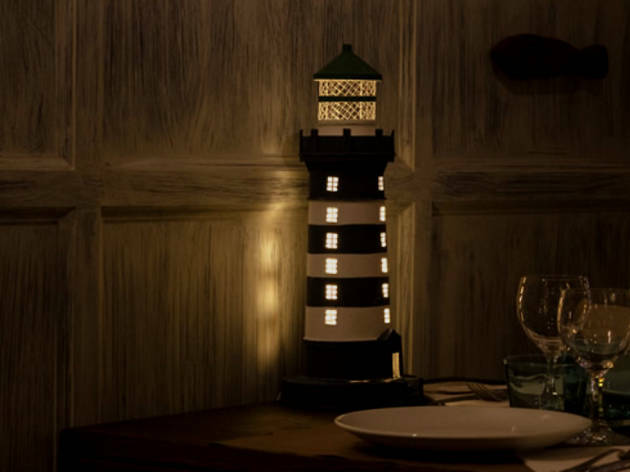 Behind the seafront and hidden from the crowds of tourists in the summer, LaBalma has a set menu during the week, and another one at the weekend, both based on seasonal cuisine and fresh produce - their dishes don't last more than two weeks on the blackboard. A fast turnover for a small restaurant with space for only 25 people, and which has attracted customers who tend to be local and discerning in their culinary tastes - they come back because they want to discover new dishes. Toni likes to find something different to add to traditional recipes; for instance, a plate of stewed lentils can be transformed into a a lentil cream with clams and chorizo foam. Enjoy a small surprise every day. The impact of the Adrià culinary factory continues to spread via venues opened by disciples trained in the kitchens of Albert and Ferran Adrià. 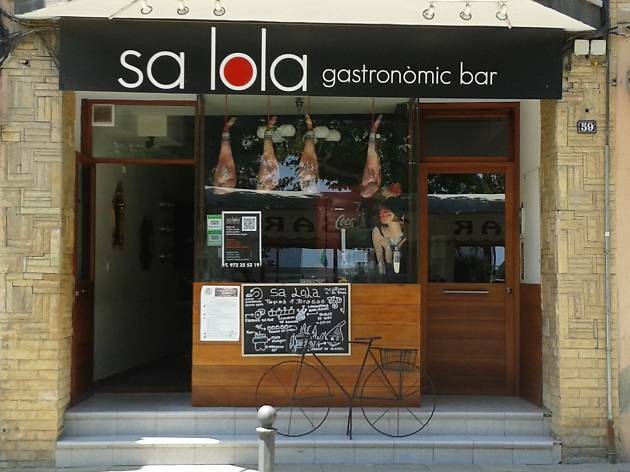 Such is the case with Sa Lola in Blanes a gastrobar that offers a menu focused on creative tapas. This is the influence of both Rafa Salinas (chef) and Albert Mir (head of restaurant) having worked at the Adrià Barcelona tapas restaurant, Tickets, and they now apply the lessons learnt there in their own restaurant, with one eye on sophistication and the other on fun. When it comes to the tapas, make sure you share with your dining companions because you really want to try as many of the crazy creations as you can: foie made to look like chocolate biscuits, hanging squid, grilled mussels, smoked langoustines, corn-flake king prawns and spherical olives with anchovies; this last one is a clear nod to the Adrià universe. 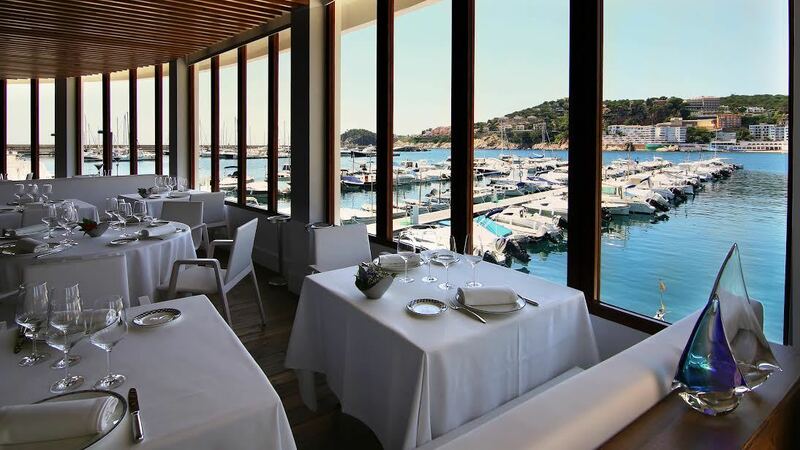 In the privileged spot of the former Club Nàutic in Sant Feliu de Guíxols, Sa Marinada takes the best of the sea and transforms it in the kitchen. 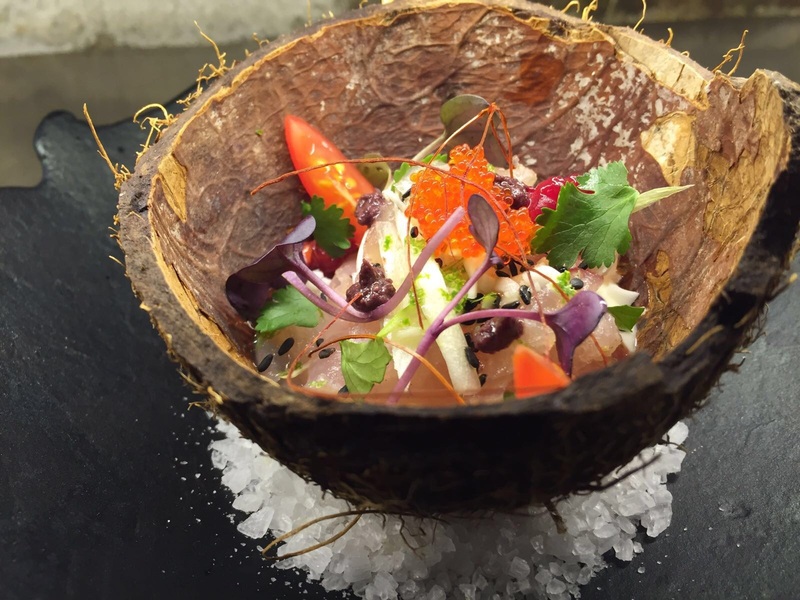 The fish they serve vary according to the season because they look for the optimum era for each species, to be able to serve the best product to customers. 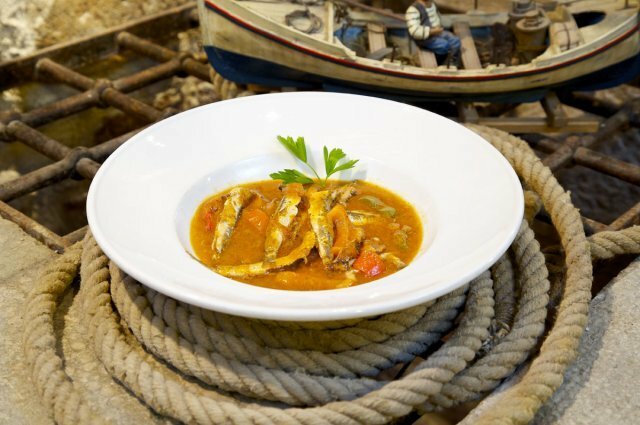 Wild fish and shellfish come from the Mediterranean, such as sea bass cooked in salt, shellfish and langoustine casserole, and fisherman's stew. Of course, a seafront restaurant has to have rice dishes as well: sample the one with Galician crab, or the lobster stew. Another popular plate is the cod tripe with small langoustines from Palamós. If you're lucky enough to have your own boat, bear in mind that they do an onboard catering service. And if not, then they can always deliver to your house.